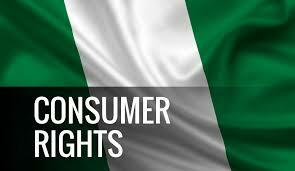 Hello all, today I will be writing on knowing your consumer rights as a Nigerian. This afternoon i decide to take a snack of two pieces of sausage roll and wash it down with a bottle of iced vitamilk. I checked my safe for my fresh sausage roll's and begin to eat. Midway into the second piece, i dug my teeth into what seems like a twisted iron. Immediately, my teeth began to ache and my head throb. Almost immediately, i remembered the landmark case of Donoghue v Stevenson. In this case, a consumer who found rotten snail in her ginger beer sued the manufacturer for negligience. The court in affirming the manufacturers negligence defined a neighbour thus "The rule that you are to love your neighbour becomes in law, you must not injure your neighbour; and the lawyer's question, Who is my neighbour? receives a restricted reply. Who, then, in law, is my neighbour? The answer seems to be – persons who are so closely and directly affected by my act that I ought reasonably to have them in contemplation as being so affected when I am directing my mind to the acts or omissions which are called in question" This has has later helped in defining a consumer. I'm considering filing an action in court or lodging a complaint to Consumer Protection Council (CPC)while pondering on my course of action, i decide to write on consumer protection. The Black's Law. Dictionary defines “consumer” as a person who buys goods or services for personal, family, or household use, with no intention of resale; a natural person who uses. products for personal rather than business purposes. The Consumer Protection Council Act, CAP C25 Laws of the Federation, 2004 defined a consumer as an individual who purchases, uses, maintains or disposes of products or services. Going by these definitions, every person who buys/acquires product's, good's and services either for personal or commercial purpose is a consumer. In Nigeria, the like of NAFDAC, SON are saddled with ensuring strict compliance with healthy standard of production. A wider responsibility is placed on Consumer's Protection Council (CPC) The CPC is a Parastatal of the Federal Government of Nigeria, supervised by the Federal Ministry of Trade and Investment. Though it was established by Act No. 66 of1992, it commenced operations only in 1999, when its institutional framework was put in place. Its mandate requires us to, among others, eliminate hazardous products from the market, provide speedy redress to consumers complaints, undertake campaigns as will lead to increased consumer awareness, ensure that consumers interest receive due consideration at the appropriate forum, and encourage trade, industry and professional associations to develop and enforce in their various fields quality standards designed to safeguard the interest of consumers. In Adebo V 7up bottling co where an exporters drinks were impounded and destroyed in the US for containing more than the. required of benzoic acid. The The court held in Adebo Holdings Ltd & Anor v. Nigerian Bottling Company Plc & Ano r that high levels of benzoic acid and sunset additives in the coca-cola products could pose a health risk to consumers when mixed with ascorbic acid, commonly known as vitamin C.
The Lagos State Judiciary on the 14th of May,2018 set up a small claims court to settle disputes arising from consumer's grievances. The court is required to resolve dispute within 60 days and the maximum momentary value of claims that can be brought before it is put at N5,000,000 (Five Million Naira). This is a welcome development given the fact that Lagos is a commercial center. The bottom-line of today's discourse is that manufacturer of goods owes the consumer a duty of care hence must due care in producing goods for our consumption.